I am a father 3. 16, 14 and 9. My wife and I have made the choice to homeschool after a very long and fruitless year at South River High School. I really want my children to love learning and really embrace education as a life-long skill. Welcome! I have 4 kids. All have used T4L. Two have graduated and I have two more to go. Congratulations on your decision. Welcome to homeschooling. Are you going to homeschool all four? Is it going to be done primarily by you? You and your wife? Just her? 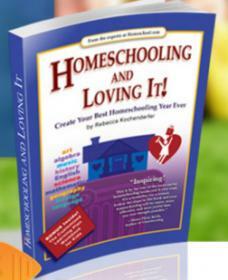 As a starting point, you might read the Welcome to Homeschooling Guide and the Homeschooling and Loving Book. Welcome Jess! I'm sorry your kids had a poor experience with your school but good for you and your wife for taking a stand and making a difference! John Edelson shared some great resources to help you with getting started! Since you are making this transition, you may want to explore local homeschool groups to have them connect. (If they are into sports, music, science, etc. -- you can even find options for these! A few of mine, for example, play on a competitive homeschool soccer team and play in local, state and national competitions.) A2Z HomesCool has a great list of Maryland Homeschooling Resources! Take time to really enjoy the freedom of learning with homeschooling! Recognize homeschooling isn't solely at home! Your area is so rich with options to explore! Enjoy!